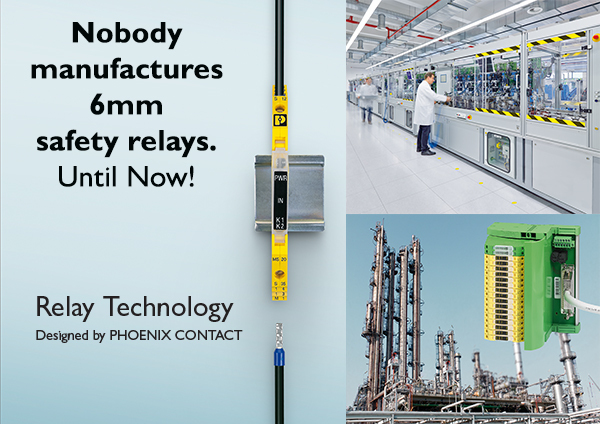 PSRmini relays are the most narrow safety relays in the world. At widths of just 6 mm and 12 mm, they provide maximum functional safety through force-guided contacts. The highly compact design means space savings of up to 70 %. This is possible thanks to the newly developed relay technology from Phoenix Contact. The safety relays switch loads up to 6 A, are compatible with many signal transmitters, and versatile to use thanks to comprehensive approvals for global markets.